Any foreign correspondent who came to India to cover the state elections must stay on to report on this land of miracles. Prime Minister Narendra Modi is being called ‘Magic Man’ after he won the largest state of Uttar Pradesh (UP) for his Hindu nationalist party, the BJP. Modi faced a formidable challenge because his de-monetisation move had caused hardship to millions of poor apart from inconveniencing the rich. It had led to the closure of thousands of small industrial units. But Modi called it a sacrifice for the nation and his voters seem to have agreed. 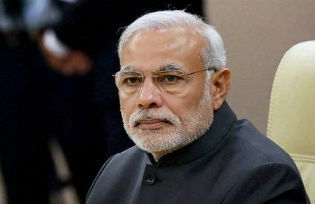 Modi has been facing protests by the liberals, intellectuals, writers and artists, and a major section of the student community who are deeply disturbed by the atmosphere of intolerance in which free speech invites violence. The section of the media not beholden to the Modi Government or the corporates reminds the nation about Hitler’s Germany. Talking of Hitler seems a bit far-fetched at this juncture even though some fascist tendencies keep coming to the fore. The UP elections however, did display both the strengths and weaknesses of the Indian democracy. The product that Modi sold so successfully to the voters of UP can best be described as Modi Plus. He offered something to every one. If that required ideological compromises or shaking hands with the enemies of yesteryear, so be it. While Modi’s latest feat is most impressive, he is not new to divining an effective political strategy. No one can beat him as a hidden persuader. He won a Gujarat state election by attacking the then military ruler of Pakistan by calling him “Mian” Musharraf. Modi went on to attract other voters in large numbers by selling development dreams. The poor felt that he would fix the rich as he claimed to have done through de-monetisation! The rich corporates felt that once Modi’s party ruled UP, the state Government will shower them with plenty of incentives and subsidies as Modi had done while running the state of Gujarat. The UP campaign also tapped the fault line of economic rivalry. Statements were made to fuel antagonism based on religion, caste, sub-castes and class. No communist leader seeks to fuel class conflict in such a blatant way. But Modi wanted to appear as pro-poor. If the political opponent belonged to one sub-caste, the BJP hugged the leaders of rival sub-castes. Detracting from India’s first Prime Minister who kept the communal forces at bay has been Modi’s top priority. Since his party had no heroes, he was quick to co-opt some Congress leaders even though they were opposed to the ideology of Modi’s parent party. A cartoonist describes this trick as collecting stolen idols. His new pro-poor rhetoric has robbed his opponents of their main political weapon. His flaunting of the welfare measures does not frighten either the capitalists or the conservative economists who ignore the distributive justice and the concept of public goods. The pro-poor rhetoric does not obstruct the speedy privatisation in the critical sectors of health, housing and education. The parties wedded to secularism hesitate to confront him on this score as they have been intimidated by the BJP’s appeal to Hindu sensibilities. They refrain from offering an effective counter-narrative.